In their September 2017 auction Bellman Auctioneers had a folio of 17 drawings by Peter Lord. 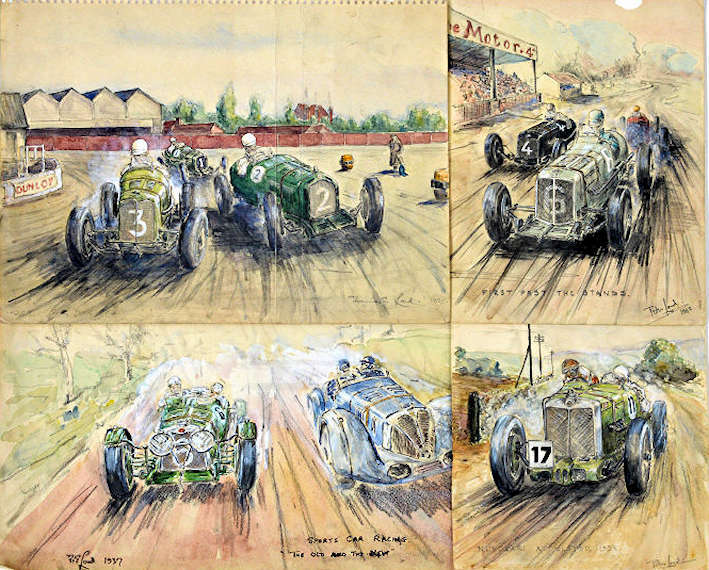 Looking at the drawings they are the work of a good amateur who was portraying the motoring events of the time. A little more research showed that he was a close friend and business partner of Bill Urquart Dykes. 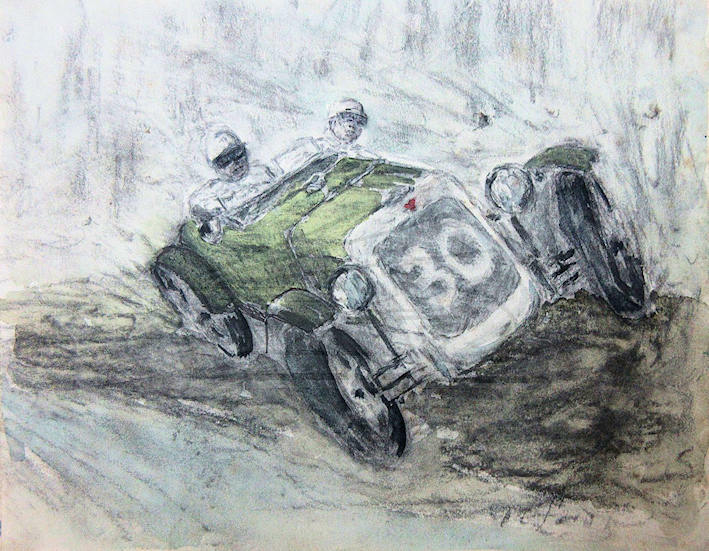 Urquart Dykes and his wife Ruth were very much part of the Brooklands racing scene with a particular liking for Alvis cars. 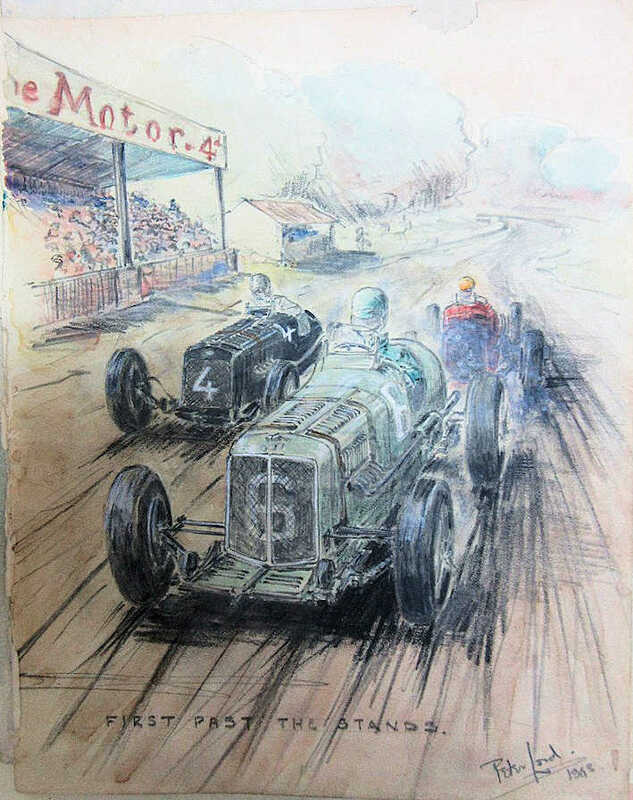 Peter obviously was a frequent visitor to the track and wrote about Alvis in later life. It could be that some of his illustrations were used in the club magazine? 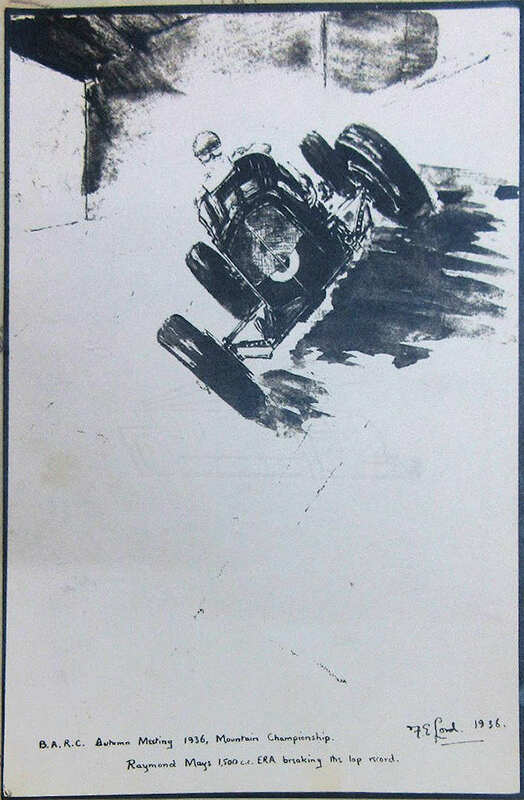 Raymond Mays ERA breaking the Brooklands lap record. Alvis front wheel drive race car.